Front Pockets with Zipper:These zippers on the front lower pockets will keep your needed items secure while working and insure they will be there when you need them. Reflective Piping:Reflective piping on the front around the pockets and on the back keep you visible on the job. Extended Back:This extended back will keep items from going down the back of your pants - water spray or work dust will shed off instead of going down the back of your pants, keeping you more comfortable. 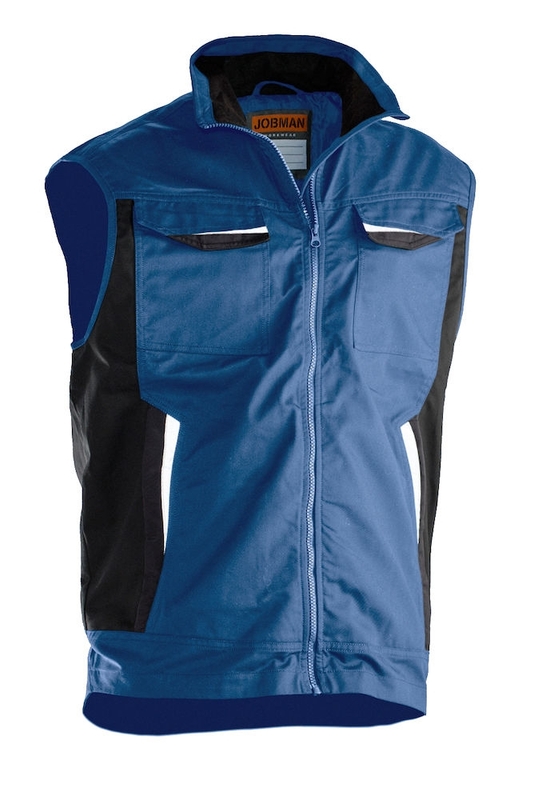 Comfortable Work Vest with many features to make your work day more comfortable. 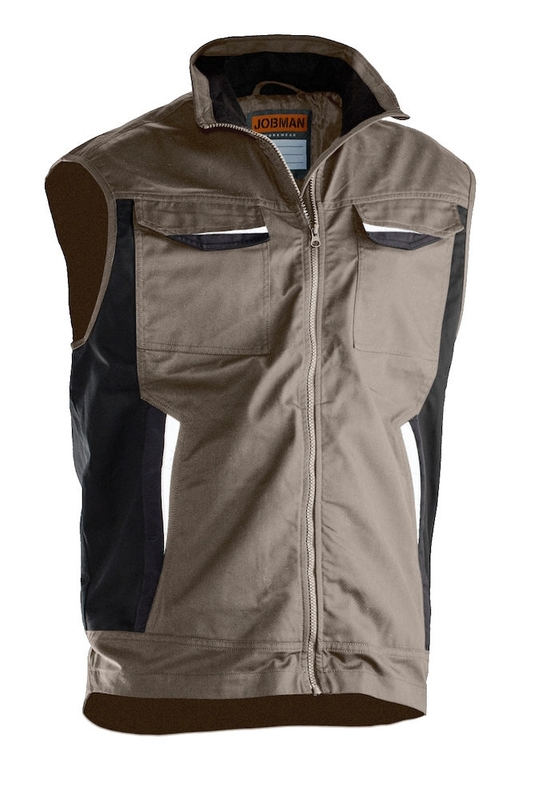 This vest has pockets where you need them with closures so your work stuff stays secure. Reflective piping is installed around the pockets and on the back where you can be seen on the job. All day comfort is sewn into this service vest and it is made of JOBMAN's Durable Polyester/Cotton Blend.